There really isn't anything not to love about getting packages in the mail. In today's lightning-quick age of technology, snail mail has not lost its appeal; in fact, just the opposite. Wanna be pen pals? Hit me up! 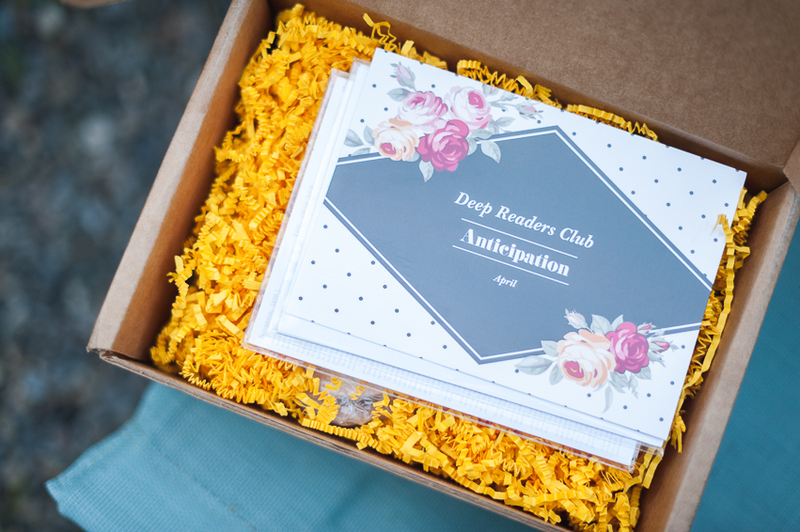 We were fortunate enough to try a complimentary 3-month subscription to the Deep Reader's Club this spring/summer. 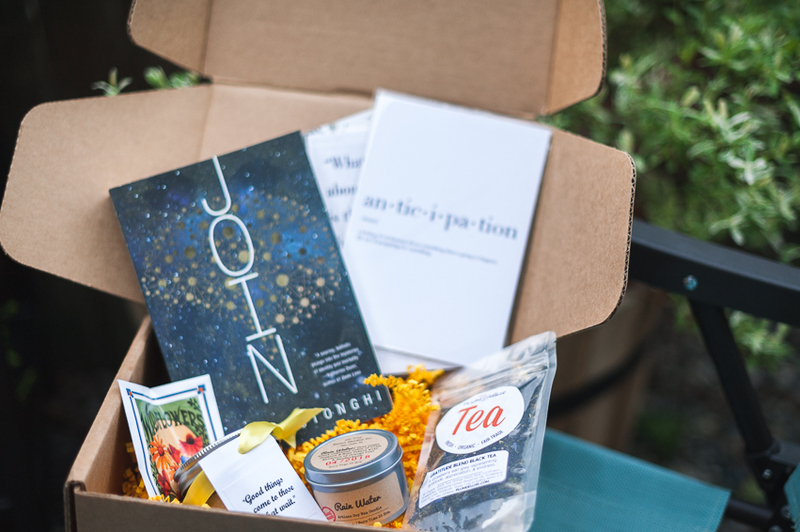 The unique concept for their bookish subscription box is that it's based on a different emotion each month. Fun right? My favorite part is getting to see how they played on the emotion with the items they choose. The book matches the theme too, of course, and is carefully chosen and with an emphasis on literary fiction (our favorite!). Unboxing is a ritual we both enjoy, as we unwrap all the fun surprises together and put them to good use. 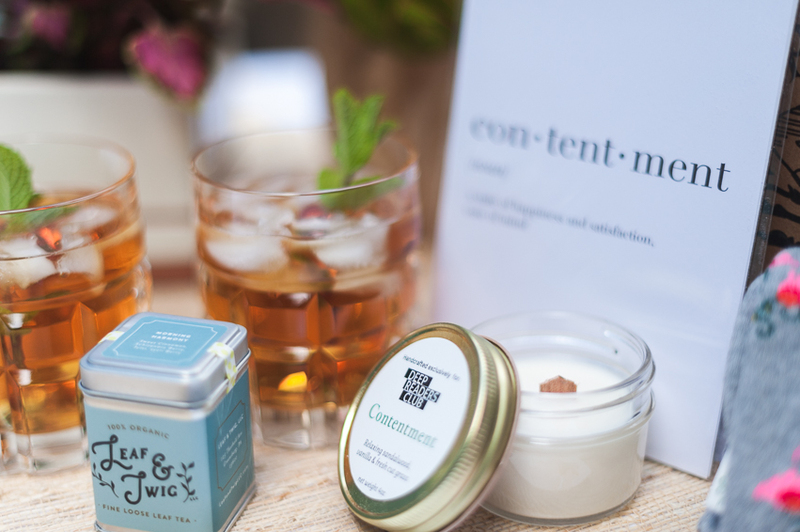 May's theme was contentment, and bookish paper goods, good tea, cute socks, and a pretty candle definitely work together to support that warm fuzzy feeling. 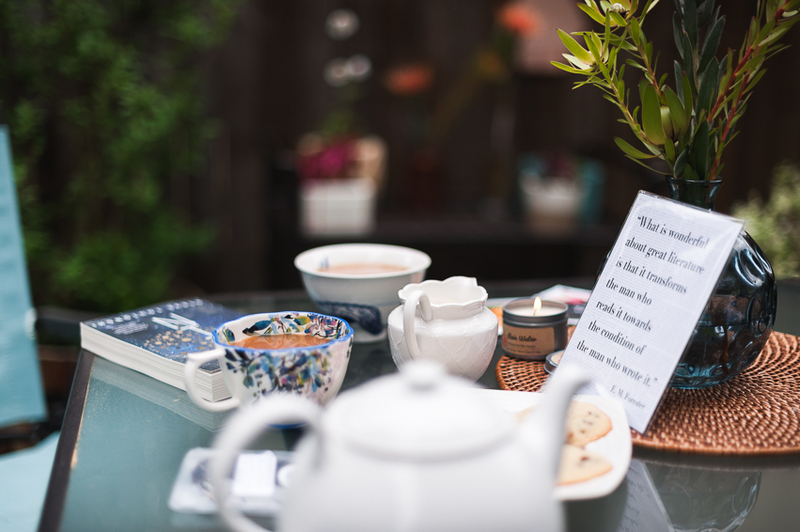 Honestly, any excuse to sit down, sip tea, and talk to my best friend for a few minutes is a perfect afternoon in my book. We really enjoy getting to explore new bookish things and making new friends, especially those who are following their dreams in the way of bookish goods. The world can never have too many! You can see our April box right here (that one was especially wonderful), and June's theme will be grief. What things bring you contentment?